My friend David Guiza pointed me to this video displaying a great (viral) concept for supermarket innovation by Tesco, in South Korea. The main idea: why not bring the supermarket to the consumer and not the other way around? Their concept: using waiting time in subway travel to shop on displayed shelves with images of real products. 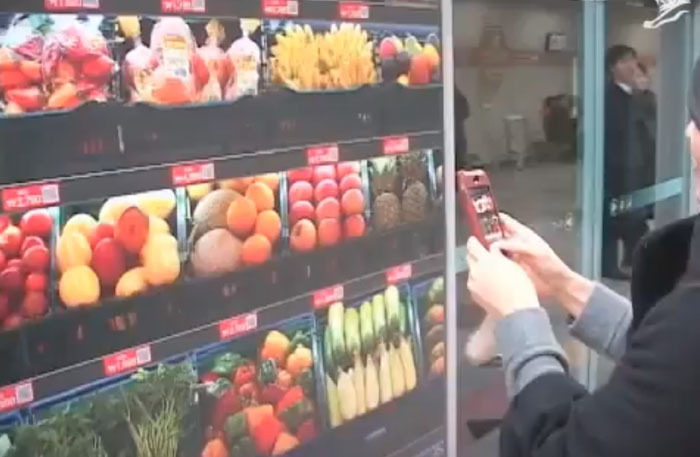 To shop, people only have to scan the products with their mobile phone and add them to their cart. Brilliant! !